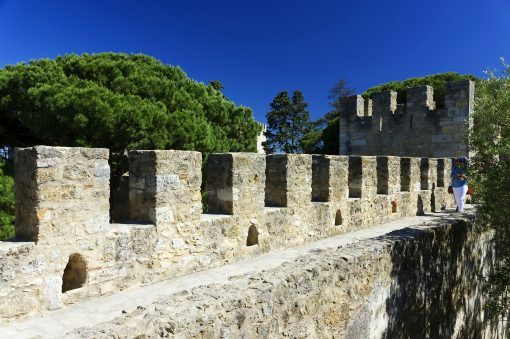 Sao Jorge Castle is one of the most iconic monuments and awe-inspiring sights in Portugal as it stands majestically above the city of Lisbon. Although this was once the ancient seat and focal point of Portugal for more than 400 years, the present day castle dates from the early 1900’s when it underwent a major restoration project. However, this does not detract from the allure of Sao Jorge Castle for tourists, and it remains one of the real highlights for many visitors to Lisbon. 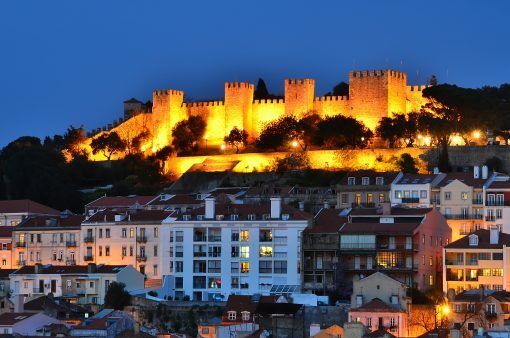 Built by the Visigoths in the 5th century, Sao Jorge was enlarged by the Arabs in the 9th century and finally modified during the reign of Afonso Henriques. It was only in 1938 that the castle underwent the previously mentioned restoration and it would then experience its greatest period between the 13th and 16th century. 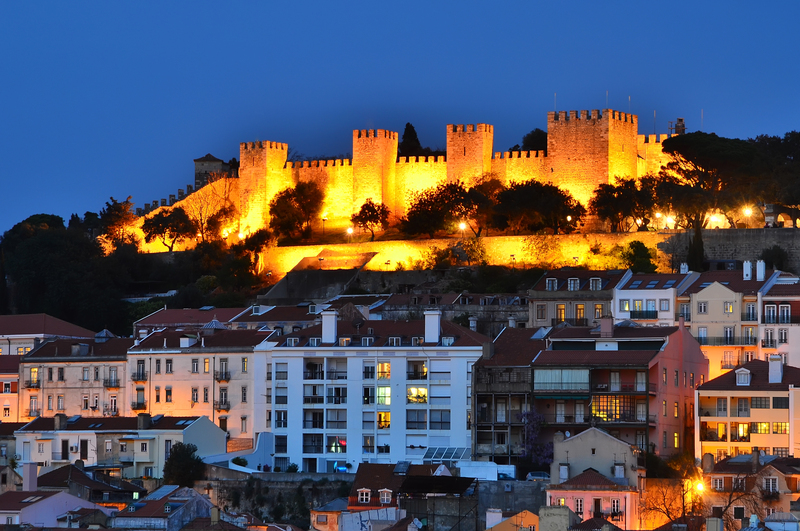 Renowned for being the golden era for Sao Jorge Castle, it was during this time when the kings of Portugal occupied it. 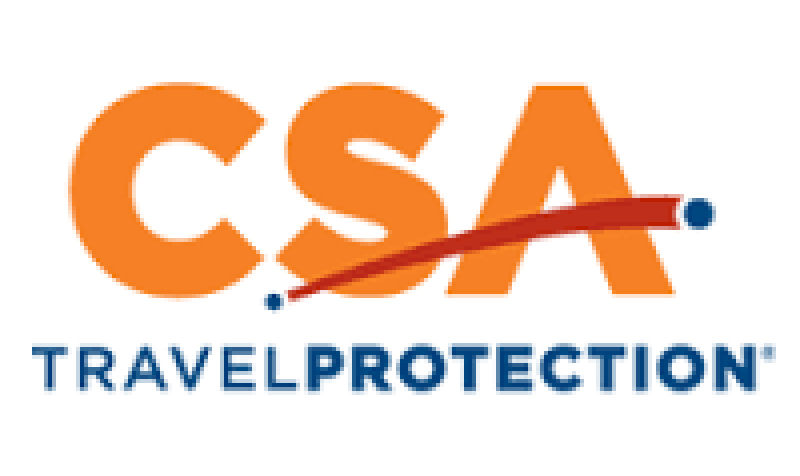 Visiting Sao Jorge Castle can take several hours or even an entire day as the surrounding area is quite a large expanse of nature. Featuring a cafe, restaurant, museum and as many as eleven towers; the castle itself is impressive, and afterward, you can take a stroll along the quiet streets next to the castle. 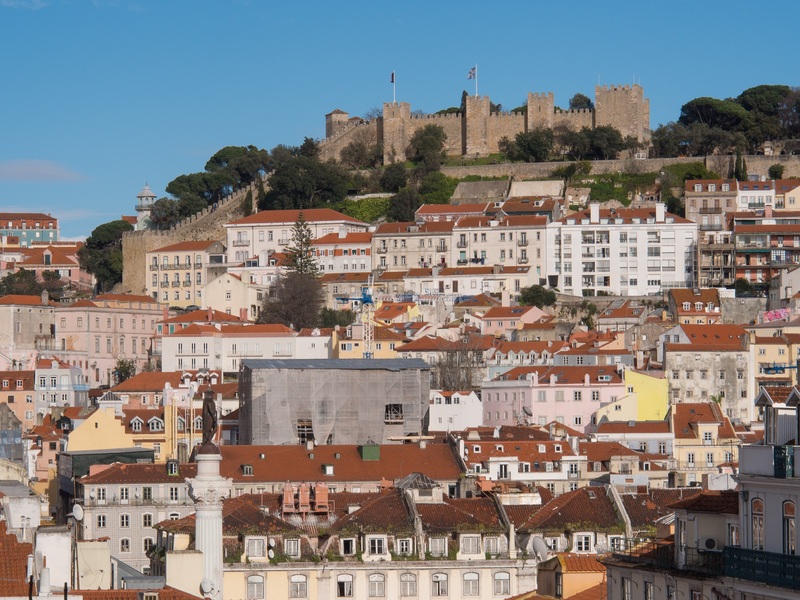 However, arguably the highlight of any trip to this spectacular castle is the incredible view from the top, where the natural splendor and beauty of Lisbon unfolds before the eyes of every visitor.